Google Chromecast 3 review: Faster, better looking, but what's new? 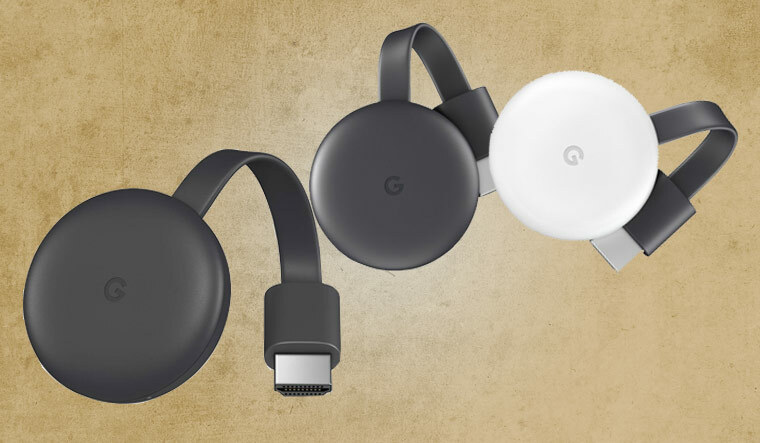 Google made little noise when it introduced the new Chromecast, the streaming device's third iteration, a month ago. So, does the latest offering give something new? It still cannot stream content directly from the web (you need a smartphone or the Chrome browser as an intermediary) and does not support 4K (for that you need to buy the Chromecast Ultra, which is difficult to find in India). The Chromecast, however, does well what it does. You can plug it directly to the HDMI port of the television. There is a micro USB port to power the device (Sorry, no USB Type-C). There are no in-built apps, nor is there a menu. You can set up the device through the Google Home app on Android and iOS. There are some 800 compatible apps, from Netflix and YouTube to Vodafone Play. Just tap on the cast button, select the device and enjoy the show. The device is faster than the last one (Google says 15 per cent faster), and it can stream 1080p at 60 fps, which is definitely an improvement. When you are not casting anything, it shows some pleasing photographs, curated by Google. You can also choose your own album from Google Photos. The Chromecast has been integrated with Google Assistant. You can tell the Chromecast to play something on a supported device (for instance, Narcos on Netflix on the Hall TV) through a Google Home speaker or Google Assistant on your phone. 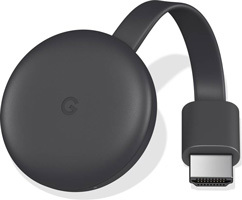 In matte finish, the Chromecast 3 is definitely better looking than the Chromecast 2, as it attracts less dust and fewer scratches than the glossy finish the last one had. It is available in black and white colours. It costs Rs 3,499. The Amazon Fire TV Stick, its main competitor in India, costs 3,999. But the Fire TV Stick can stream content on its own, and has a competent collection of apps. Also, unlike the Chromecast, it comes with a fantastic voice remote. It would be interesting to see if Google will bring voice-activation to the Chromecast in the future, considering it is giving Amazon heavy competition in other categories.